Contains all essential elements and trace elements. Space-saving, 2 x 2 litres replace 3 x 10 litres conventional element supply. Highly concentrated (27.300 °dKH and 195.000 mg calcium per set), ready to use. Promotes coral growth, coloration and vitality. 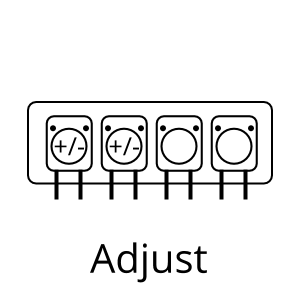 Perfect for beginners and professionals. Essentials pro is a revolutionary care system. Our experience from more than 20,000 seawater analyses has enabled us to further optimize the recipe of the successful Essentials. 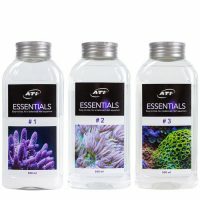 Essentials pro supplies your aquarium not only with all major elements (incl. 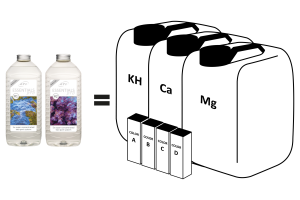 KH, Ca and Mg), but also with all essential trace elements (e.g. iron, iodine, molybdenum, manganese, vanadium and zinc) and helps to keep them continuously in the optimal concentration range. With Essentials pro you replace 3 x 10 liters of conventional element supply. All relevant elements are already premixed in the two Essentials pro bottles. The concentrate in laboratory quality can also be dosed immediately and does not have to be diluted. Your reef aquarium is a unique aquatic ecosystem containing many different organisms. All these organisms continuously extract substances from the aquarium water in order to be able to grow. By supplying your aquarium with Essentials pro you are able to balance the typical consumption of the reef inhabitants according to demand and consumption. In this way natural water values are continuously maintained, which is the cornerstone for every successful reef aquarium. The production of our water care products is subject to strict monitoring by our own laboratory. Quality assurance helps us to select the purest raw materials and leads to a top-quality end product. 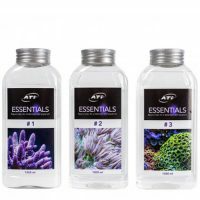 With Essentials pro you get one of the purest products available on the market for supplying reef aquariums. 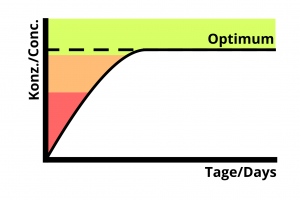 Usually the essentials pro are consumed to the same extent. In this case, the dosage of Essentials pro 1 and 2 can be adjusted using the KH consumption of your tank. 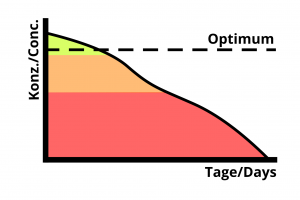 If the calcium value changes over time, the dosage of Essentials pro 2 should be adjusted based on the calcium consumption. 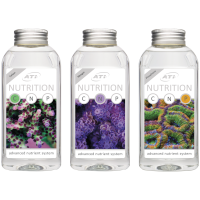 Created under Laboratory conditions and formulated by using advanced analytics of the optimum tropical reef aquarium. 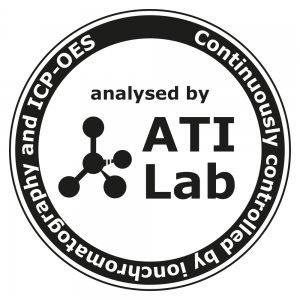 This ATI Lab Essentials range will provide a complete support system which can be easily tailored to the needs of your aquarium. Developed in the Laboratory and formulated by using advanced analytic data from optimum tropical reef aquariums. 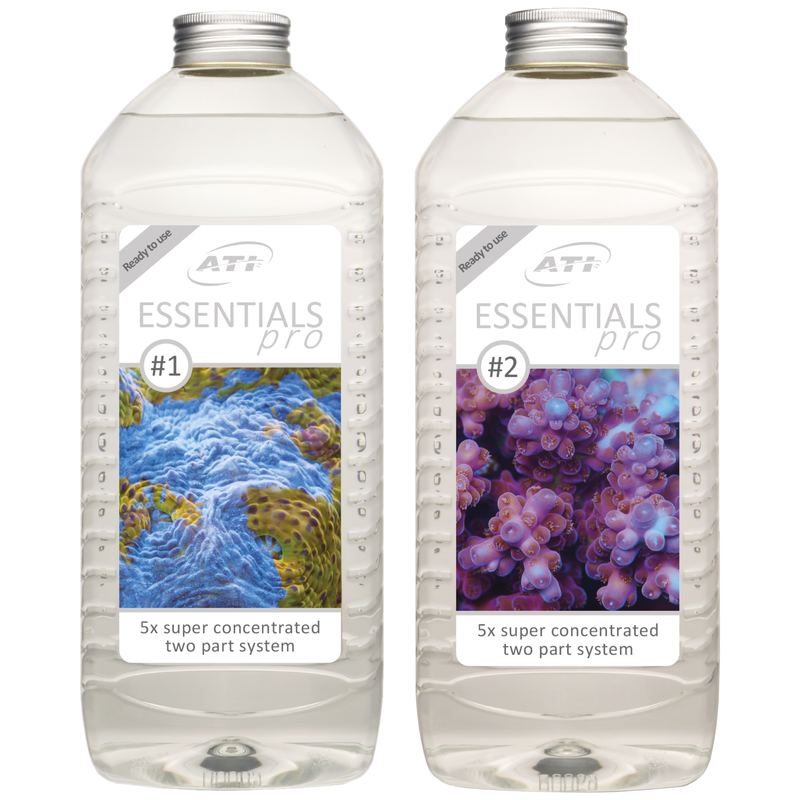 This ATI Lab Essentials range will provide a complete support system which can be easily tailored to the needs of your aquarium. Complements the supply of Essentials pro with organic compounds and nutrients. Permits the perfect adjustment of nutrients according to the Redfield ratio and actively prevents nutrient limitations. actively increases the formation of chromoproteins in corals. promotes the growth and vitality of all reef dwellers. 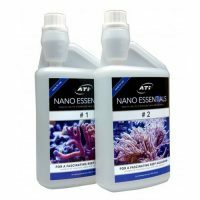 The simple route to developing a thriving reef aquarium, with Nano Essentials you can easily supply your aquarium with all the vital elements and minerals needed by your smaller aquarium’s inhabitants.